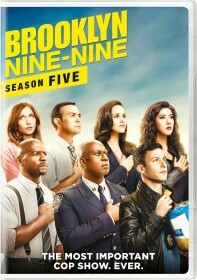 FOX has issued the press release for the next episode of Brooklyn Nine-Nine, "Paranoia". Jason Mantzoukas continues his guest stint as Adrian Pimento in the episode. "Paranoia" - Rosa enlists Jake to help change Terry's disapproving opinion about her fast-moving relationship with Adrian Pimento (guest star Jason Mantzoukas). But their love for each other is put on hold when Pimento thinks someone from his past is trying to kill him in the all-new "Paranoia" episode of BROOKLYN NINE-NINE airing Tuesday, March 29 9:00-9:30 PM ET/PT on FOX. Rosa enlists Jake to help change Terry's disapproving opinion about her fast-moving relationship with Adrian Pimento. But their love for each other is put on hold when Pimento thinks someone from his past is trying to kill him.